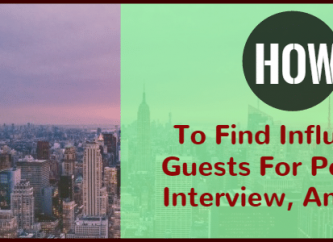 Interviews are a great way to get exposure for both your product and your brand. I like them specifically because you’re given the greenlight to be promotional and talk about yourself and your products. Additionally, you may wonder how does a podcast work. Podcasts specifically don’t require any writing - simply showing up and being yourself for 30-60 minutes, which anyone can do. And believe it or not, they convert relatively well. I have people reach out to us all the time talking about hearing us on a podcast. People really begin to relate to you when they spend 30 minutes listening to you talk - it builds trust. One effective way to find people who do who do interviews is through the use of NinjaOutreach Chrome extension. You can run a search on Google with any of these advanced search operators and load it on NinjaOutreach Chrome extension so you will be able to save those lead on your list. For interviews, just replace podcast with the equivalent. 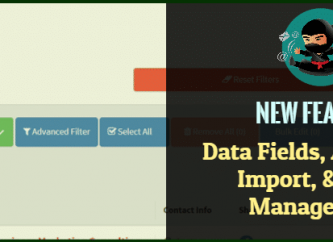 The easiest method is simply to use the search and the filter in our two tabs; Websites and Blogs and Twitter Influencers Tab. Just run a search for your topic, and then select interview (or podcast) from the filter drop down menu. I recommend setting the search to 5k, because this filter will drastically reduce the results. This is because these data points are relatively new to the software, and the data is still being built up. You can also run a search with the keywords directly, for example “Marketing Podcast”. In this case, it is better NOT to put the filter on, because the exact match will already filter the keywords for you. From here you can easily add the good candidates to a list. Performing The Outreach And Landing Slots! Before doing the outreach, you will have to integrate your email. 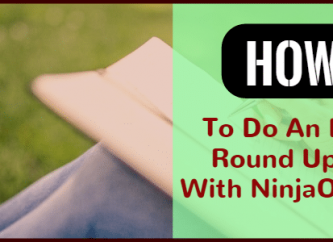 These directions will show you how to send emails in NinjaOutreach. I came across your podcast the other day while looking for startup related shows to listen to while at the gym - nice! I was wondering if you had any slots? My name is Dave and I'm the founder of NinjaOutreach.com, a blogger outreach software which launched in January. We're a bootstrapped, remote SaaS startup and I believe we have an interesting story and a disruptive product, and we'd love to connect with your audience. Honestly, I don't much like talking about myself, but I feel compelled to get out there and I *think* I have an interesting story. In 2012 I quit my corporate job and backpacked around the world for two years, visiting over 40 countries, and starting a few niche, online businesses that grossed six figures in revenue. Those businesses ended up fading out, and now I'm bootstrapping a SaaS against some large competitors in the space. Let me know if this interests you - cheers! Some interview/podcast scripts should be in your Manage Templates tab already upon account activation as an example.